It is not a mystery that our garages serve us in many different ways. Their original purpose was to store vehicles, from the dark ages and on. They are also popularly used to store tools and other equipment. Sometimes, they are just storage rooms. Some folks even turn them into living areas! 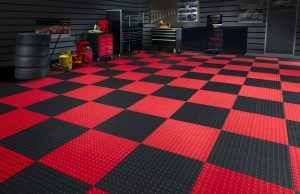 If you think it is time to upgrade your garage, then we have some ideas for you. We are not talking about the usual ideas, either. Maybe some typical ideas at the base level, but that’s about it. Concrete is nice and all but… no it isn’t. There are a few different types of durable flooring that you can put over it. All of them look better and some of them work better in a garage. What are they? Concrete sealer literally just makes it look better than prevents cracks from forming. Concrete Stain makes it look a lot better, and also prevents cracks and degradation. Epoxy Paint is very popular as it is extra tough and looks really nice. Rubber tiles are literally just a covering that is quickly repaired and replaced. Sheet Vinyl is another good long-term idea that looks great. It isn’t as durable, though. This is a nifty new idea on the market that is totally DIY friendly. The only thing you really have to worry about is making sure you don’t impede on your garage door’s ability to open and close. Other than that, you have your entire garage ceiling to work with! Look into this one if you’ve run out of room on the walls of your garage. Smarten Up Your Garage Door Opener! Seriously, did you know that you can use your smartphone to open up garage doors? It is totally secure as it requires you to use a secure app that you have to sign up for. That part is free but you will likely have to have a new garage door opener installed if you have an older one. This will even allow you to open your garage door for someone else while you are away from home! Build An In Garage Bar! A lot of guys turn their garage into a man cave. Have you ever thought about putting a fully stocked bar in your garage? You know you want too. It doesn’t have to be for alcoholic beverages, either. A bar is just a place for drinks and snacks, but that’s never stopped anyone from storing a bottle of good liquor in one… This is definitely a DIY friendly activity and a great upgrade for your garage! 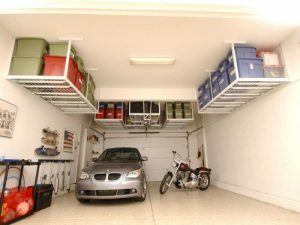 Seriously, it is your garage and it should serve your needs. If you want to turn it into a second living room, then do it. If you want to add a workbench or a workout room, you definitely should. 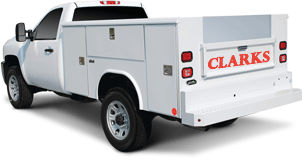 If you need help replacing or removing your garage door, just call (213) 769-1370 for Clarks Garage Door & Gate Repair Los Angeles and their premium garage door services. We are always there to offer you a helping hand at an affordable price.